An anti-wrinkle leave-on mask that plumps and smooths the look of skin. This nourishing anti-wrinkle cream resurfaces skin by filling in the appearance of expression lines and wrinkles, leaving the complexion smooth and hydrated. This product does not contain polyethylene glycol, petrochemicals, silicones, synthetic colors, or synthetic fragrances. * Plump the skin and smooth surface imperfections with hyaluronic filling spheres. * For a stronger barrier function retexture the lipid matrix with Omega 6 ceramide. It also replenishes dehydrated skin and restores softness and elasticity. * Boost the production of collagen and elastin with oligopeptides. * Leave skin firmer, more supple and younger-looking as Hydro Mineral Transference™ delivers minerals deep into the skin. Omorovicza’s patented mineral delivery system, Hydro Mineral Transference™, ensures the absorption of these minerals by the epidermis and dermis in unprecedented levels. Gradually, the skin becomes smoother, suppler, and younger-looking as minerals reach its deeper layers. Key dermatological benefits of this enhanced delivery include: the support of natural collagen and elastin, a tighter lipid matrix to lock in hydration and protect skin from micro-damage, and improved antioxidant defense against free radicals. - Apply evenly to the face after cleansing. - Use two to three times a week instead of Rejuvenating Night Cream. Recommended for sensitive, dry, and combination/normal skin types. - Spa tip: Following application, spray Queen of Hungary Mist onto face then massage product gently into skin to enhance the plumping effect. Aqua (Water), Butyrospermum Parkii (Shea Butter), Glycerin, Cetearyl Alcohol, Simmondsia Chinensis (Jojoba) Seed Oil, Cetearyl Ethylhexanoate, Ethylhexyl Palmitate, Prunus Armeniaca (Apricot) Kernel Oil, Squalane, Stearyl Heptanoate, Candelilla/Jojoba/Rice Bran Polyglyceryl-3 Esters, Theobroma Cacao (Cocoa) Seed Butter, Glyceryl Stearate, Microcrystalline Cellulose, Prunus Domestica Seed Extract, Saccharomyces (Hungarian Thermal Water) Ferment Extract, Phenoxyethanol, Sodium Stearoyl Lactylate, Safflower Glyceride/Palm Oil Aminopropanediol Esters, Cellulose Gum, Tribehenin, Xanthan Gum, Disodium EDTA, Tocopherol, Ethylhexylglycerin, Mannitol, Silica Dimethyl Silylate, Geraniol, Malpighia Punicifolia (Acerola) Fruit Extract, Phospholipids, Sorbitan Isostearate, Citronellol, Parfum (Fragrance), Tripleurospermum Maritima (Sea Mayweed) Extract, Linalool, Sodium Hyaluronate, Yeast Extract, Sorbic Acid, Palmitoyl Oligopeptide. Premium Price But Boy Does It Work! I have had the opportunity to try several products from this premium brand and I have yet o find fault with any of them. The most recent is the Instant Plumping cream and I wasn't disappointed. 60 is the next big birthday milestone for me and my skin is showing more definite signs of the ageing process. This is inevitable, even when you look after yourself like I do. 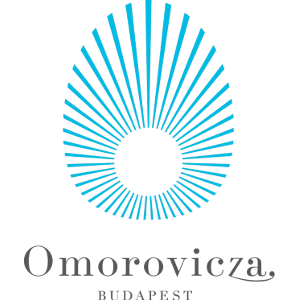 However I have found the Omorovicza range really turns the clock back, for lack of a better description. This cream-mask, used overnight, deeply hydrates and packs a big punch of hyaluronic acid to plump and firm the skin. My neck and upper chest especially benefit from this treatment cream; smoothing it out and making it look so much fresher. My only regret is how expensive Omorovicza is, so I am trimming my wish list down to two products, a cleanser and a moisturiser or treatment product such as the Instant Plumping Cream, and buying it once or twice a year max. Based on thermal water found in Hungary (as the range is), this light cream works overnight so you wake up with firm, fresh, amazing looking skin. Definitely a must-try for mature skins! "I have had the opportunity to try several products from this premium brand and I have yet o find fault with any of them. The..."